THIS WEEKEND ONLY: 15% OFF ENTIRE TURISAS STORE! 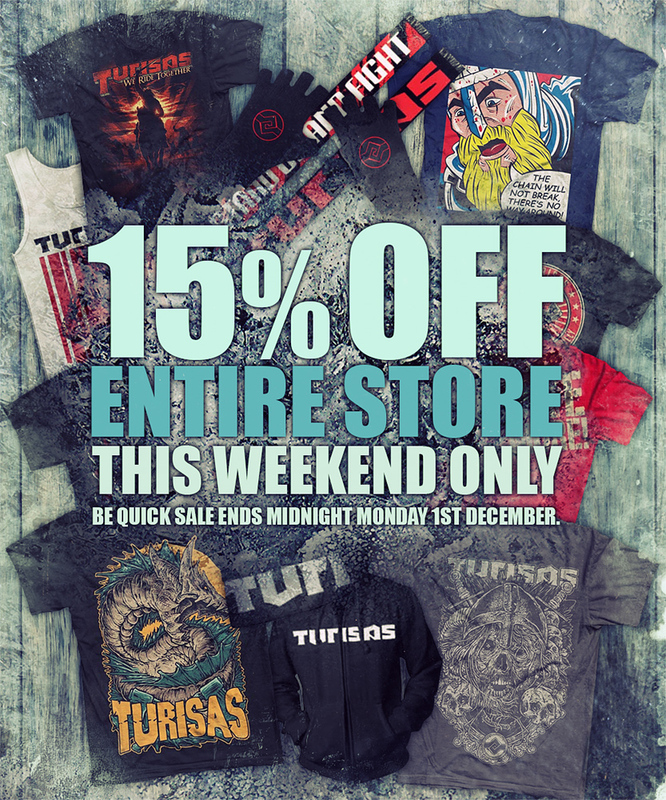 Stop by the Turisas store this weekend and get 15% off all your favourite merchandise. Don’t forget with December fast approaching you will need to place your Christmas order soon – cut off shipping dates below. Be quick SALE ends midnight (GMT) Monday 1st December. Finnish Battle Metal warriors and convicted road dogs TURISAS are already eager to dust off their gear and join the 7th edition of Paganfest. Since they don’t really enjoy resting they are already busy working on a new stage show – apart from shifting into writing mode for an upcoming album. “After a year of touring on the latest album ‘Turisas2013”, things have finally quieted down for us to move into the creative process again and start developing the concept for a new album. It’s all still in a very early embryonic state and not a single note has been written yet, but for us albums tend to start with themes rather than music. I also have the feeling that this is going to be a massive project and we’ve decided to take all the time we need to make it right. As things are bound to get intense, we’re happy to have our first escape penciled in in our calendars for March 2015. Co-headlining Paganfest with our good friends Wintersun is guaranteed to be a blast, but also a package of top-notch artistic value. We are planning to do a fully revisited show with songs that have not been played lately and also some surprises here and there, so do not miss this tour! 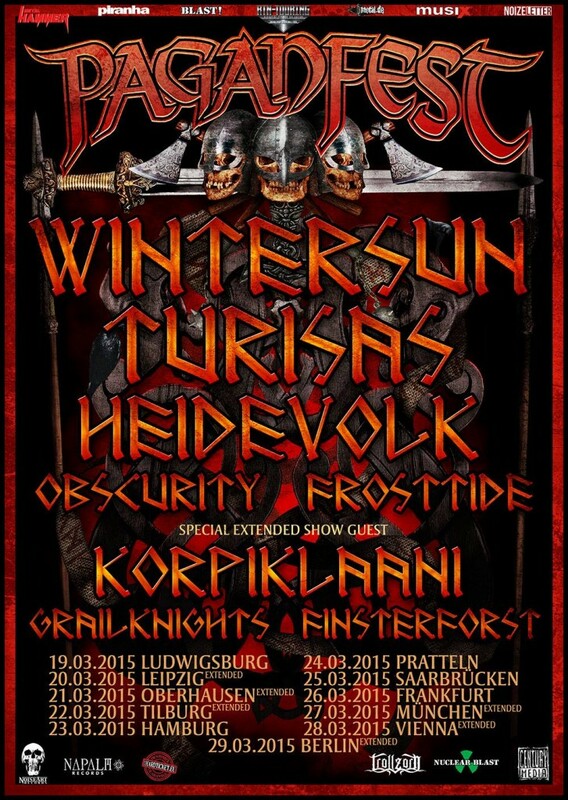 All info about PAGANFEST TOUR 2015 are to be found at http://www.rtn-touring.com/ – tickets are on sale now at http://www.hardticket.eu/.